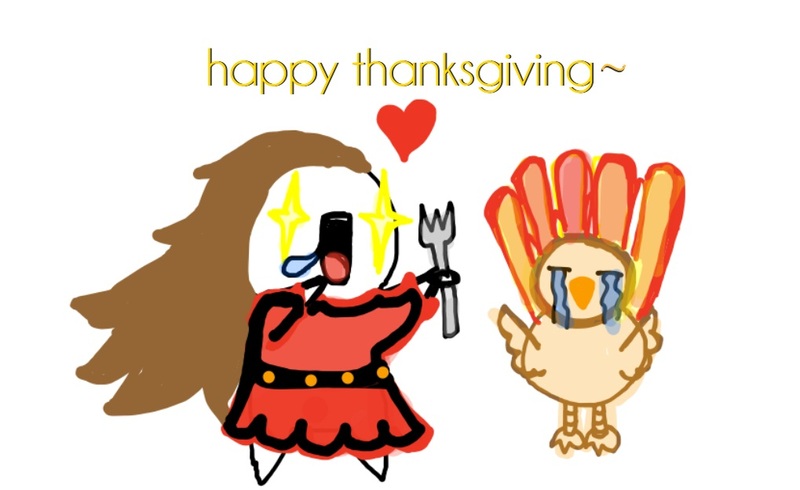 Happy Thanksgiving from Books to Infinity! Just popping in to say haaaapppy Thanksgiving! This was a book that I wasn't supposed to like. Anna Dressed in Blood, from its shadowy cover to its ghost-killing main character, had every possible turn-off possible in my eyes. Fact is, I don't do creepy books. My sensitive but suggestible imagination can't handle it. Anna Dressed in Blood surpassed all expectations and returned me to a state of readership where I read it for the love of the story, and not because five million people were shoving in my face in an attempt to get me to read it. The main character, Cas, was captivating and memorable; his friends, seemingly ordinary people who are forced to do extraordinary things; a plot that kept me glued to the pages, and a romance that I cheered for... All wrapped together in an atmosphere layered with history and topped off with a dash of humor. I think it was the humor that did it for me. Kendare Blake could've easily turned this story into one that left me unable to close my eyes at night by stripping it of any relief from the suspense. Instead, Cas's narrative is peppered with quips that had me giggling one moment, before the plot turned and I was left with a screwed up expression of disgust. Kendare Blake didn't rely on cheap tricks and overly described gory scenes to mess with the reader. She went past that, into the realm where (we normal people) don't like to go. Described with simple, skin-crawling details, the story made me cringe as easily as it made me laugh. I loved Cas's narrative for more than just his wicked tendency towards gallows humor. His sense of vulnerability made him appear alive to me; he wasn't this fearless guy who sprinted in to slay mean ghosties. Every move to action was precipitated by a fear of losing something, like his family or his life. I liked that. Also, his friends developed in a way that surprised me. For example, he makes friends with the school's queen bee, Carmel, and I thought she'd drop out of the story completely. Instead, she becomes one of the main characters and develops a force of her own. Each character was developed in this way, and it gave the book a unique flavor. Even though the romance was entirely predictable and in retrospect, Anna came off as rather flat and one dimensional, I cheered for Cas and Anna all the way. Their romance wasn't like all the other supernatural pairings that are now a dime a dozen, where the "we can't be together" speech is worthy of an epic eye roll because it seems so melodramatic. Not here. I understood what stood in Cas and Anna's way. I wanted Cas to be able to make it past the obstacles, I totally cheered for him. Anna came off a bit one dimensional sometimes, but I didn't notice until I thought back on the book. Fact was, they worked for each other and for me. I loved the atmosphere Kendare Blake created. Settled in its spookiness, it was easy to get lost in the world of Thunder Bay. It was equal parts creepy and intriguing. It makes me want more of the world, just as much as I want more of Cas and Anna's story. 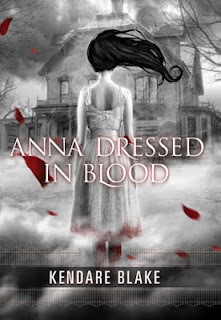 Anna Dressed in Blood is perfect for those who love a thrill, as well as for those who don't. I'm so glad I picked it up -- a hearty "thank you" to those five million people who were dying for me to read it. I loved every page. I’ve seen most of what there is to be afraid of in this world, and to tell you the truth, the worst of them are the ones that make you afraid in the light. The things that your eyes see plainly and can’t forget are worse than huddled black figures left to the imagination. Imagination has a poor memory; it slinks away and goes blurry. Eyes remember for much longer. I watch him with amusement. There’s a blue light special on territorial jocks in aisle four. "I’ve been Obeahed by an Obeahman? Is this like how the Smurfs say they smurfing smurfed all the time?" What was once the western United States is now home to the Republic, a nation perpetually at war with its neighbors, the Colonies. Born into the slums of the Republic's Lake Sector, fifteen-year-old Day is the country’s most wanted criminal. But his motives may not be as malicious as they seem. From very different worlds, June and Day have no reason to cross paths—until the day June’s brother, Metias, is murdered and Day becomes the prime suspect. Now, caught in the ultimate game of cat and mouse, Day is in a race for his family’s survival, while June seeks to avenge Metias’s death. But in a shocking turn of events, the two uncover the truth of what has really brought them together, and the sinister lengths their country will go to keep its secrets. 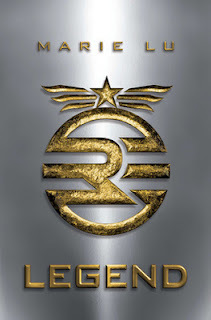 When Legend first popped up on my radar, I was turned away by the amateur-style cover. I was intrigued, however, when the hype drove me to read a sample of it. I was impressed by how there was an immediate sense of character and that allowed the also-immediate conflict to take effect. Paired with Marie Lu's effortless writing style and propelled by a both heart-wrenching and thought-provoking plot, I never wanted the story to end. Legend tells the story of two awesome main characters. June, with her Holmesian-like logic but warm heart; and Day, the guy we girls would all like to run into on the streets. I was pleased (and impressed) with how June, the government's prodigy, didn't come off as a cold-hearted anti-hero. She had a heart -- a big heart -- that wasn't impervious to breaks. The criminal Day reminded me a lot of Han from Cinda Williams Chima's Seven Realms series, only Day doesn't have silver cuffs branded to his wrists. Mentally, I connected them because they're passionate, flirty, and street smart, and they always take care of their families. The world of Legend was magnificently displayed. Lu doesn't fall into the trap of having to explain how everything worlds. By letting the world affect (or not affect) her characters in certain ways, she lets the world build seamlessly. It's this showing and not telling that is so effective in creating the swaths of color into the world around the characters. Sometimes it has a fantasy-like feel to it, and sometimes it feels more sci-fi or dystopian, giving it a well-rounded atmosphere. What I was most impressed with from Legend was the way Lu built the story. I understood what was at stake, I knew the risks, and I felt each obstacle resonate within the characters. It was a story that built stakes like kindling for a fire -- they pushed the characters; they didn't come at a conveniently inconvenient time. At every turn, I would mutter, "What are they going to do now?" or "How are they going to get out of that?" The plot was tightly compacted: nothing was wasted, but there are threads to be continued in other books. So while there were predictable places, it was the moments that took me by surprise that defined my liking for Legend. With it's fantasy/sci-fi like world and lovable characters, Legend should be a book to get on your shelf. I'm glad it's on mine. “I don't know if anyone's ever told you this", he begins. He doesn't blush, and his eyes don't dart away. Instead I find myself starring into a pair of oceans - one perfect, the other blemished by that tiny ripple. "You're very attractive." My first experience with Jackson Pearce's work came many, many years ago with her novel, As You Wish. As a know-it-all fourteen-year-old, I wasn't that impressed and I never finished it. It was too short and too kiddy for the likes of me. Now, after having read Sisters Red, Sweetly, and now Fathomless, I'm intensely curious about that first book I picked up. I have had my mind blown -- yet again -- by Jackson Pearce's amazingly creative talent for capturing a breathtaking story within three hundred pages. 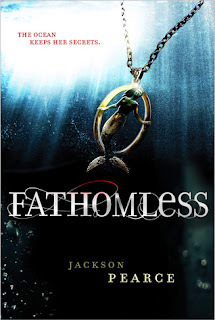 Like Sweetly, Fathomless kept me up way past my bedtime. I couldn't let go of Celia and Lo's story, or the world of ocean girls and power triplets. In retrospect, I'm amazed at how much atmosphere was packed in with the plot and character development. Almost as if those aspects were fused together, and not separate things. Short books don't generally appeal to me because they're like a single inch of a foot long idea: they don't reach their full potential. Jackson Pearce defies this idea. She establishes atmosphere, character and plot very compactly -- not "quickly," as if she rushes it, but "compactly." She doesn't waste words. My sisters love this place. It smells like sand and cigarettes and cotton candy, like sunscreen and salt. The scent builds up all summer, and now, at the height of tourist season, it's so thick that I think I could wave an empty bottle around and it would fill with liquid perfume. She also doesn't fall back on the typical, well-worn templates that lazy writers use. Jackson Pearce got deep into the characters' minds and strung out every flaw and imperfection that made them human, or inhuman, as the case may be. I loved the psychological battles that raged between Celia and Lo, as well as Celia and her sisters. Celia and Lo each had their own motivations -- Lo fought with being human, Celia fought with her power; Celia was one of a triplet, but the odd one out -- and their internal battles inherently affected their relationship. Those aspects drew me in the most. They mimicked the same kind of undercurrents that run underneath everyday conversations and interactions. So even though Celia can read someone's past and Lo is a creature of the deep, the relationships they had with their family and friends bore the same complications and intricacies of real-life situations. I liked how the romance both did and did not take center stage. The romance between Celia and Jude was sweet and well-developed without being the main purpose of the story. The romance, however, was practically the driving force of the plot. Had there been no Jude, the ending would've fallen apart. I liked this duality because it's not something I've seen often, and Jackson Pearce pulled it off extremely well by focusing attention on the ups and downs of the plot. 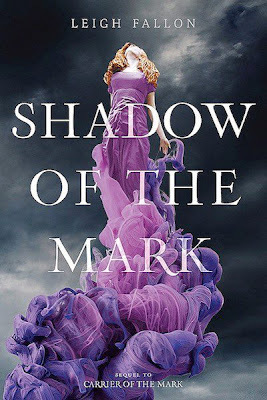 I, my friends, am going to present the cover of Carrier of the Mark's sequel, Shadow of the Mark. It's momma was beautiful, but wait 'till you this this baby. Ready? Set... GO! AND THE LORD SAID, "LET THERE BE LIGHT!" WOOOOOOOHOOOO! I don't think anyone is excited as I am on this cover reveal. Leigh has been my friend for a few years now when we first met on Inkpop.com. AND! AND! Get this: for those of you who haven't read Carrier of the Mark, the main character's name is Megan. Ha. I win. I get the hot Irish boy, ladies. ;) Now, for the synopsis for Shadow of the Mark. While she evoked the air element, and her feelings for Adam intensified, a web of lies, deceit, and betrayal was spun around her. With the Order tightening its hold, and the reinstatement of the Mark Knights, Megan has more questions than answers as the Marked Ones grow in strength. 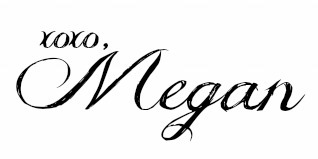 New people arouse suspicion, the DeRises start behaving strangely, and Megan begins to unravel a destiny shrouded in mystery. It’s a destiny the Order has struggled to hide, and a destiny someone from the past… far in the past, has already laid claim to. Alliances will be made, and friends will be lost, as the Order’s dark secrets are revealed by the very thing they sought to destroy. Reason for Reading~ Received in e-book format for review. Summary~ When 17-year-old Kat Finnegan is warned in a Brooklyn alleyway that her father is going to disappear, she shrugs and walks away. The next morning her father is gone--leaving behind a booby-trapped apartment and a mystery that has slept for a thousand years. To get him back, Kat and her twin brother Roger will have to unravel the secrets behind the Rose Queen--the fairy queen who ripped apart reality and stitched it back together, transforming the Fey into the memories known as fairy tales. They will also have to come to grips with their emerging powers and discover why they are known to the magical world as "The Truth" and "The Lie." Hunted by demons and treacherous Fey, Kat and Roger follow the Queen's trail from Manhattan to Newark. But neither the Queen nor her curse is what they expected, and more is at stake than their father's life--and theirs. 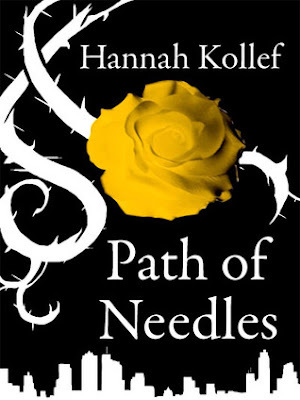 Path of Needles is the explosive first book in the Paths series: urban fantasies littered with deadly fairy tales, tangled romance, and heartbreaking betrayals. On Characters~ Path of Needles was full of strong, well-developed characters. Take our MC, for example, Miss Kat Finnegan. She is relentless to help people--she's sarcastic, too, which many people these days can relate to (*cough* me *cough*). Jim and Roger were both equally important, too. These three characters are the type you won't forget about. On Fantasy Element~ Like I said in my introduction, I'm not a super big fantasy fan because fantastical worlds never make sense to me. Either the author doesn't include enough information, or there is too much info in a few short pages. (GET YOUR WORD VOMIT AWAY FROM ME, BEAST!!) Kollef, I think, was in the not-enough section, but to be honest... I'm not certain of it because I couldn't fully wrap my head around this world Kat's brought into. I had to go back and reread. But maybe that's because I'm stupid. Heck, you'll probably understand it better than me. Don't let me dissuade you from reading it.